I arrived yesterday in Bangalore to give two seminars. The monsoon is finished and the weather is cloudy but nice. This is a big change compared to my last trip here in June. Our Indian Buyu are improving and developing fast. They have received Darren recently and Robin will be visiting them next November. The first one begins tomorrow and will be covering the Gyokko Ryû Kosshi Jutsu. Te Gyokko ryû is a fantastic fighting system that apparently is theorigin of all Budô in Japan (cf. “Unarmed fighting techniques of the Samurai” by Hatsumi Sensei). Distancing and the structure of the school are brilliant! The second seminar will cover the Yari Jutsu from the Kukishinden Ryû with the Kaeshi Waza. I really love the Yari because of its powerful thrusts and versatility. After the Bô Jutsu “marathon” of June, the participants are ready to move up to the next level. 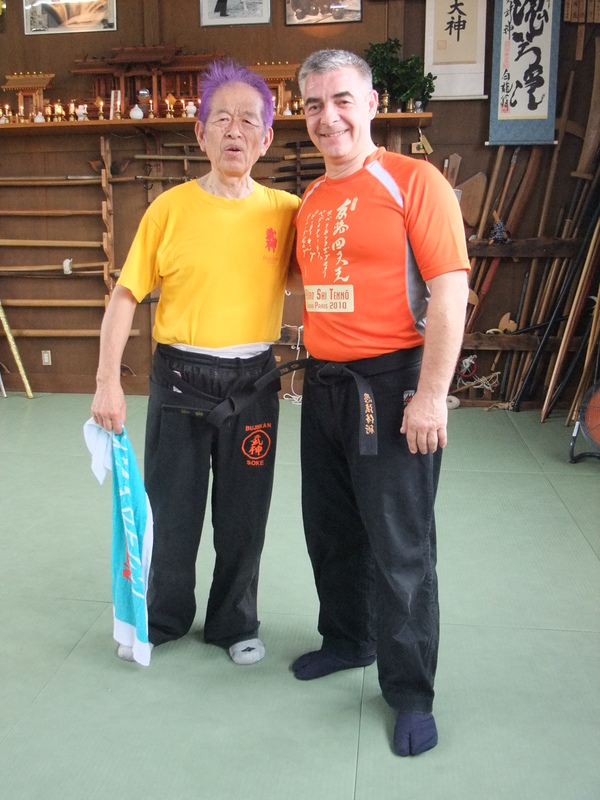 These two seminars will be recorded and will be available soon on budomart and on koi. DVDS: The first level of Gyokko Ryû and another one on Nawa Jutsu will be soon available. Unfortunately, the bô jutsu of the Kukishin Ryû will not be ready in time before I leave. For your information, the Bô jutsu after cleaning is 20 hours long of raw material; it should cover around 10 dvds! It should be ready for Christmas so now you know what to ask Santa.